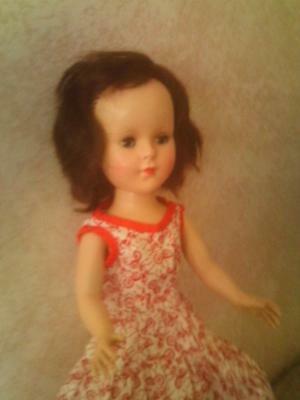 Help have a doll found in my Grams belongs after she passed away. I have no children or anyone to pass on too so want to give a new home. Problem is cant find any identification marks. Shes in awesome condition. She has brown hair, red lips, closes eyes when you lay her down. Also when you move her legs her head turns both ways. She has clothes too. Thanks for providing pictures. Unfortunately they are not real sharp but two dolls came to mind. American Character's (Amer. Char. 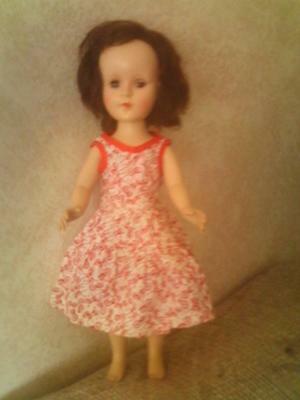 )Sweet Sue doll. 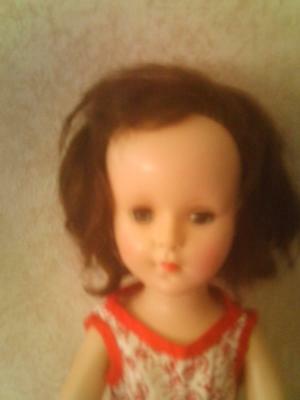 See auctions 290551696139 and 220764703773 on eBay to compare your doll. 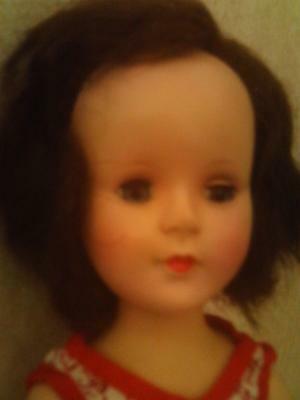 The other doll is Arranbee's (R&B) Nancy Lee or Nanette. See 1806489143813, 260764451702 or 130504419604 (too much due to her condition) on eBay to compare.